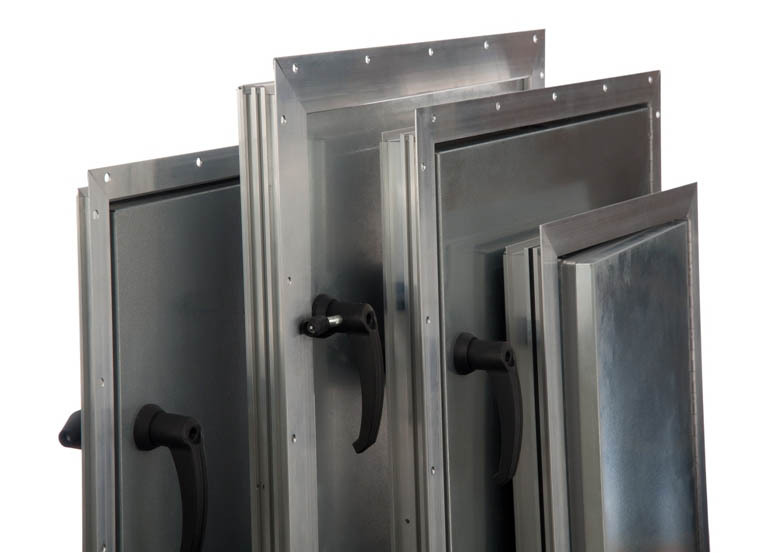 The 2″ HVAC Plenum Access Doors within our Genesis family of products are ideal for Modular Framing Systems or custom HVAC plenum wall panel construction air handlers The GPA2 series is available in both through metal design or with ITM4's non-through-metal thermal break technology for higher thermal performance applications. Also choose between our in-swing and out-swing options for positive and negative pressure environments. Extensively ETL tested and meets UL 1995 safety standard compliance for heating and cooling equipment and NFPA 90. The non-thermal break 2″ Genesis Access Doors deliver superior sealing with smooth edge surfaces and enhanced strength. Manufactured with a stainless steel hinge and closed end rivets increasing durability and leakage performance. 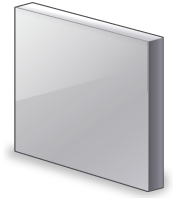 The pan-in-pan (PiP) through-metal panel design of this non-thermal 2″ door offers more value with the same high-performance components as our industry standard APEX family of products. The 2″ Genesis Access Door with ITM4's thermal-break technology uses a non-through metal design with H-clip separation between two galvanized steel panels. This thermal-break door is perfect for 2″ wall thickness air handling units and in environments that demand less condensation, small temperature loss and rigid safety requirements. The Genesis Access Doors include industry approved polyurethane foam insulation for a superior seal, thermal characteristics and door rigidity to meet stringent Indoor Air Quality applications for today and into the future. Learn more about our Polyurethane Foam. Our Genesis HVAC Access doors are available in a variety of thicknesses to suit your custom modular air handling unit design. Contact us directly or become a Member to learn more about our custom options. Our Genesis doors and plenum walls can be custom built to meet your specifications. We can create a custom sizing solution for any project. Contact us directly or become a Member to learn more about our custom options. 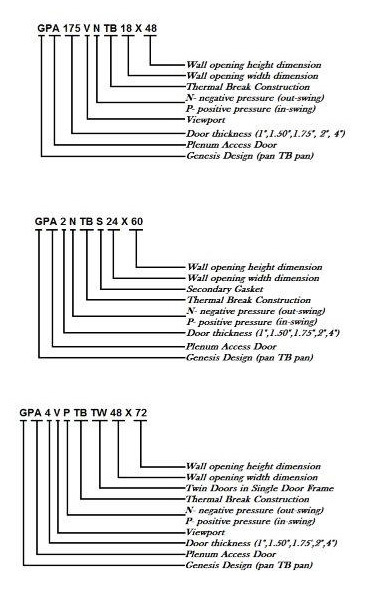 Looking for HVAC Wall Panels? Complete your custom or modular-frame commercial HVAC unit with 2 inch plenum wall and roof panels.